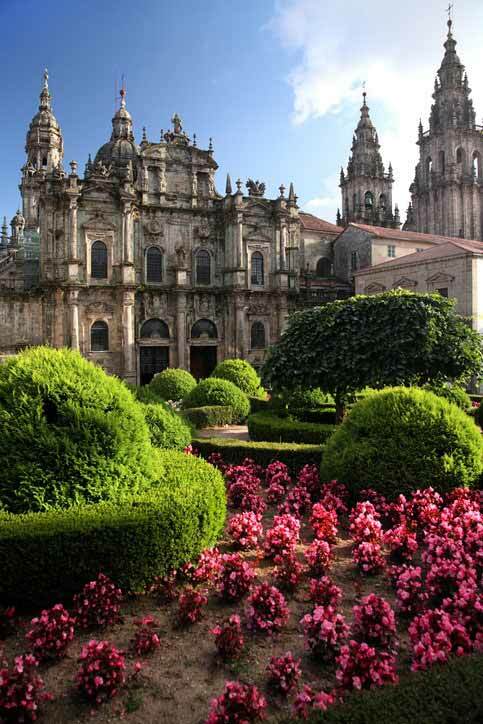 Santiago is situated in the north-west of Spain in the region of Galicia. Around 30% of the population speak Galician as well as Spanish and they are justly proud of their wonderful culinary tradition. One of my favourite winter dishes when I lived in Spain was the hearty, white bean soup Caldo Gallego. It was always fun to order Pimientos de Padron too, these are small green peppers, most of them mild, but every now and then you get a really hot one which blows your head off! Not forgetting, of course, the most famous Tarta de Santiago which is a delicious cake made of almond meal and dusted with icing sugar. This historic university city is best known as being the final destination for the famous Camino de Santiago, an 800-kilometre trek that pilgrims still take to visit the shrine of St James in the Cathedral. I once sang in a concert at the cathedral in my youth and the most incredible image sticks with me of the giant botafumeiro (literal translation: smoke expeller) which is the largest censer (the metal containers used to burn incense) in the world, swinging the entire length of the nave and filling the space with thick clouds of incense. They only do this on special religious festivals so we were lucky they put it on as part of our concert. Santiago is a vibrant city full of students and pilgrims and there is plenty of nightlife in the old town. It also has a newer part of town, with plenty of parks and green spaces. Choose between a quaint flat in the old part of town where you can walk straight out to ancient streets lined with bars, cafes and restaurants or pay less for more space in the newer parts of town. Of course, that lush green means that they get their fair share of rain, in fact they have one of the highest annual rainfalls in Spain, though the climate in Santiago is relatively mild and not too hot in the summer. Of course, you don’t have to walk to get to Santiago! It has a busy international airport with flights to London and Dublin as well as other Spanish destinations. 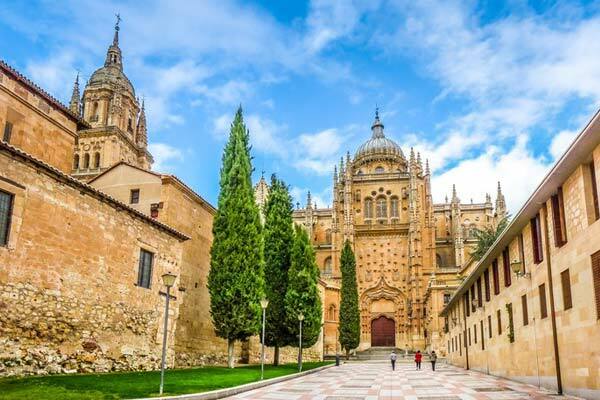 Salamanca’s history dates back 2,000 years and it has a most impressive list of monuments, palaces, museums, religious buildings and historic university buildings. Known as ‘The Golden City’ for its glowing sandstone, it has an incredibly beautiful old centre which was given UNESCO World Heritage status in 1988. The university is the oldest in Spain and the fourth oldest in the Western world and it attracts large numbers of international as well as Spanish students. The young people give the city a great vibe and there is a thriving restaurant and gastronomic culture. The place to hang out and sample the tapas is the large Plaza Major Square where colourful fiestas are held throughout the year. 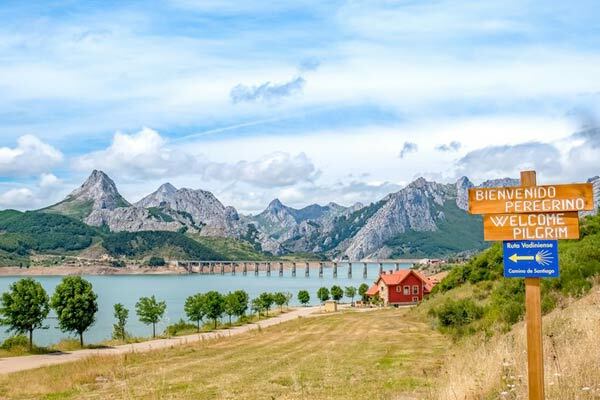 Located in the west of Spain, only 90-minutes’ drive from the Portuguese border, it’s easy to get to and from by train and the nearest international airports are at Valladolid and Madrid. 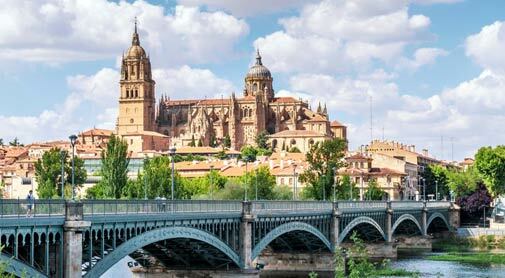 The climate is a warm-Mediterranean one with low rainfall and slightly colder winters than Santiago. Cordoba has a different feel entirely from the above cities being in the southern Spanish region of Andalucía and highly influenced by the Moorish architecture and culture. Originally a Roman settlement, it was later overtaken by the Moors, and by the 10th century was probably the largest city in Europe which is reflected in its fascinating architecture and large university. The city now has more UNESCO World Heritage sites than any other place in the world. 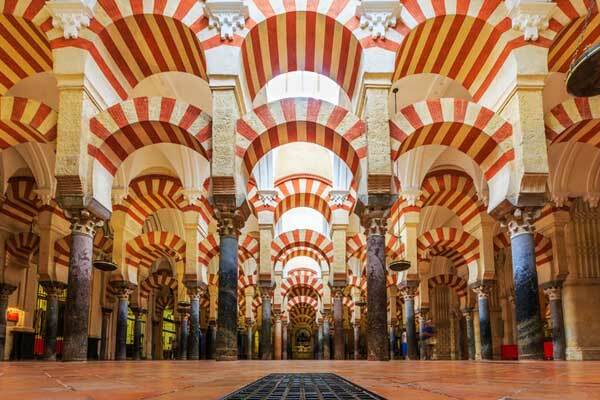 The most well-known is the huge Mezquita or Mosque-Cathedral with its Moorish striped arches. Being inland, right in the heart of Andalucía, Cordoba has the hottest summers of the whole of Spain, so if you love the heat, this is the place for you. But the Cordovans know how to keep cool, with their brilliant white-washed houses with traditional tiled interior courtyards. They even have a ‘Patio Festival’ in May each year where everyone competes to have the prettiest, geranium filled patios. You’ll find all the ingredients of traditional Spain here… flamenco, sherry, paella and gazpacho. 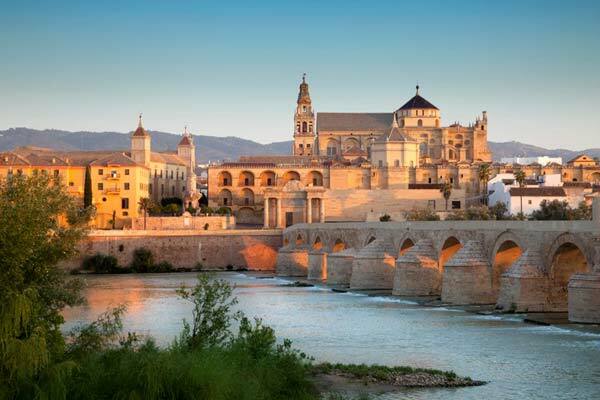 Mid-way between the glorious cities of Granada and Sevilla and surrounded by spectacular mountain scenery and national parks, there are many wonderful places to visit from Cordoba. The seaside resorts of Marbella and Nerja are less than two hours away and you’re only an hour-and-a-half from the major airport of Malaga. Cordoba is really well connected by train too and it’s fabulous to watch the hillsides dotted with olive trees and the fields of sunflowers go by from the train windows as you travel through Andalucía.